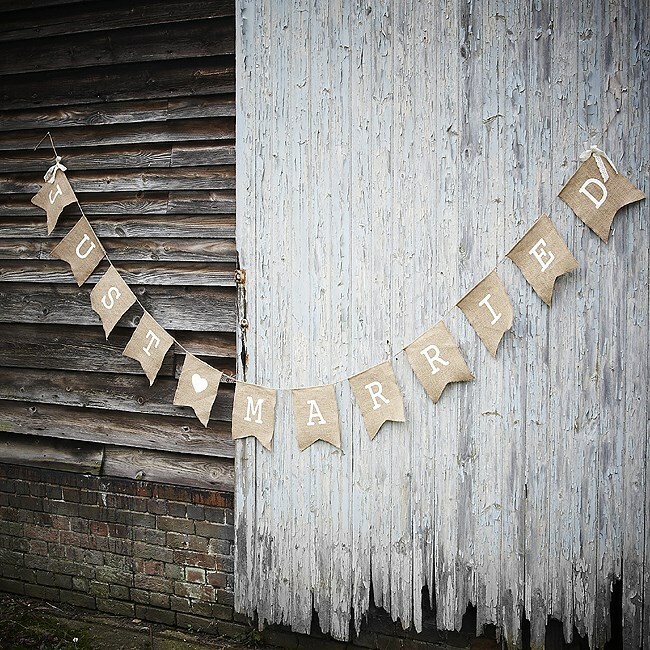 DescriptionOur rustic hessian vintage bunting has the words just married printed in white with lace edged ribbons. Ideal for the wedding reception or outside the church! Length Approx. 2.5m Each flag is approx. 20.5cm (w) x 24cm (h). Our rustic hessian vintage bunting has the words just married printed in white with lace edged ribbons. Ideal for the wedding reception or outside the church! Each flag is approx. 20.5cm (w) x 24cm (h).